The Waterfront: News News News! It is so lovely to see our members both past and current having success in the world of art. Past member Bianka Guna, has a special message for all her friends at Bayview. I would like to invite you and your family, friends to my solo show "KALEIDOSCOPIC DAYS" , in The Distillery District , the up gallery of Balzac Café (building 60in The Distillery) from the 1st to the 29th of February 2012. 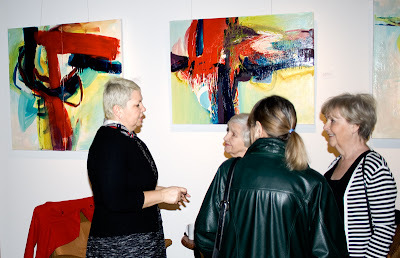 The gallery is open daily from 9:30 am to 7:30 pm. I will be on the site on Tuesday , the 7th of February 2012 from 2-4pm . 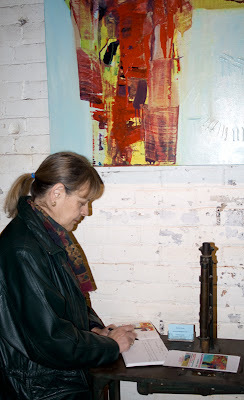 You can also find me in my studio, at the Artscape Case Goods Warehouse ,Building #74 ( behind Balzac Café) ,Studio #211 most of the days . 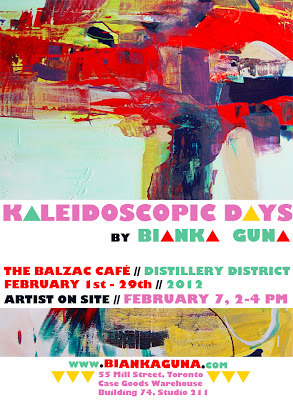 Come , chat and explore a full collection on my latest "Kaleidoscopic Days " Series. 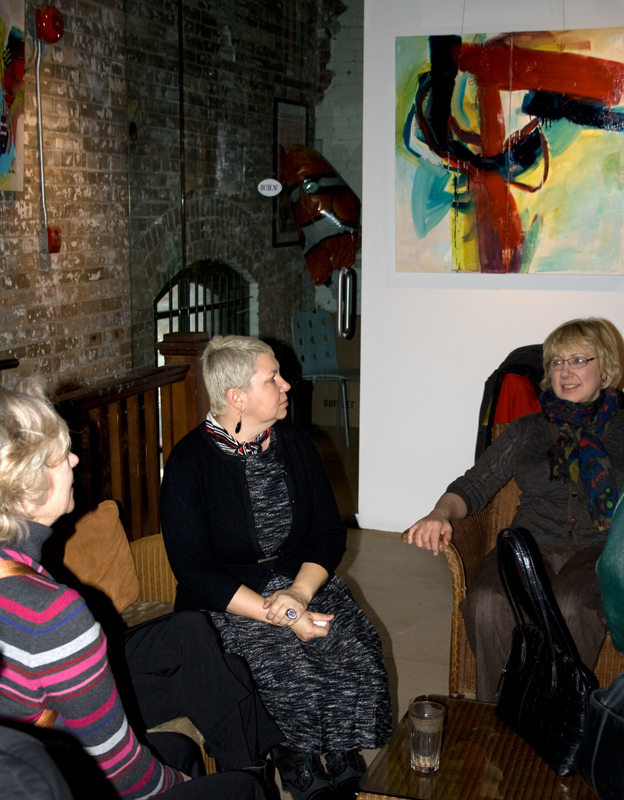 Lizbeth, Sharon, Dorothy, Rebecca and I went to see the exhibition this afternoon. Thank you Bianka for a lovely afternoon. 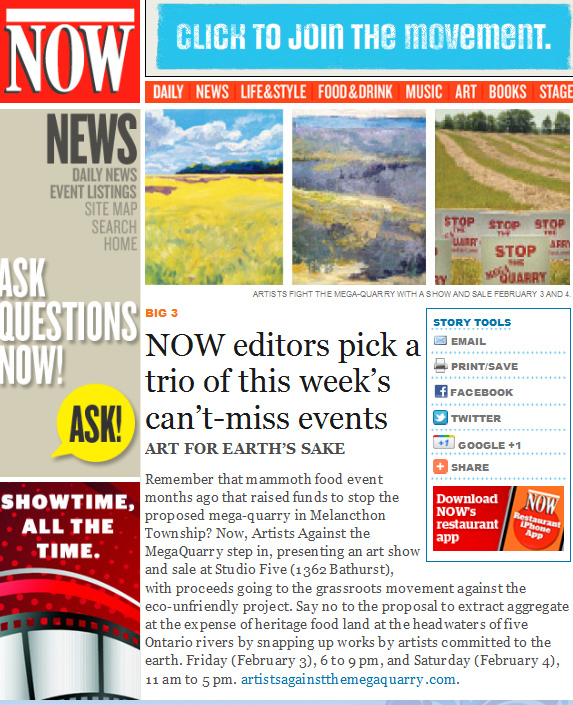 'Artists against the Mega Quarry' show has been picked by NOW magazine! 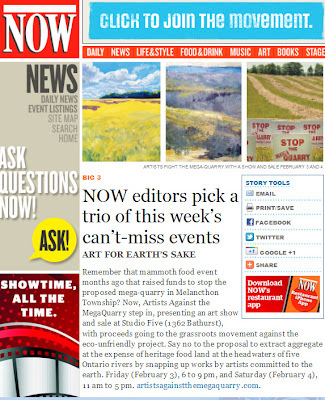 Don't forget to let me know of any other good news, Interesting articles or upcoming shows.